Walking into the theatre for the Hollywood Fringe Festival’s production and West Coast Premiere of NORMAL, carnival music is quietly playing and a man stands upstage facing away from the audience. A mannequin lies against the wall. A creepy porcelain doll sits on a shelf. The lighting is almost flickering. Before the show even begins, the audience shifts uncomfortably, wondering what they’ve just gotten themselves into. It only gets more disturbing from there. 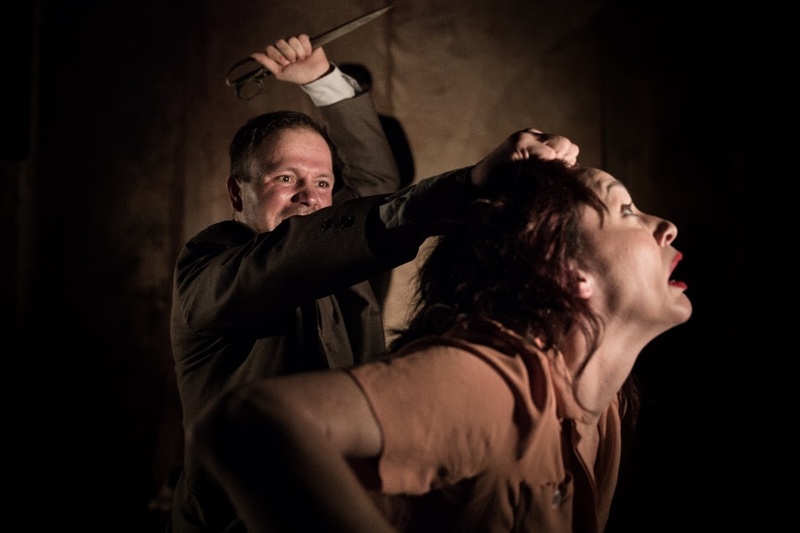 NORMAL, written by Anthony Nielson, tells the story of German serial killer Peter Kurten (played by Steve Madar), who has just been caught and is on trial for the murder of eight people. The real-life Kurten, who was convicted in 1931, also known as the Vampire of Dusseldorf, killed both adults and children viciously, strangling and stabbing them multiple times. 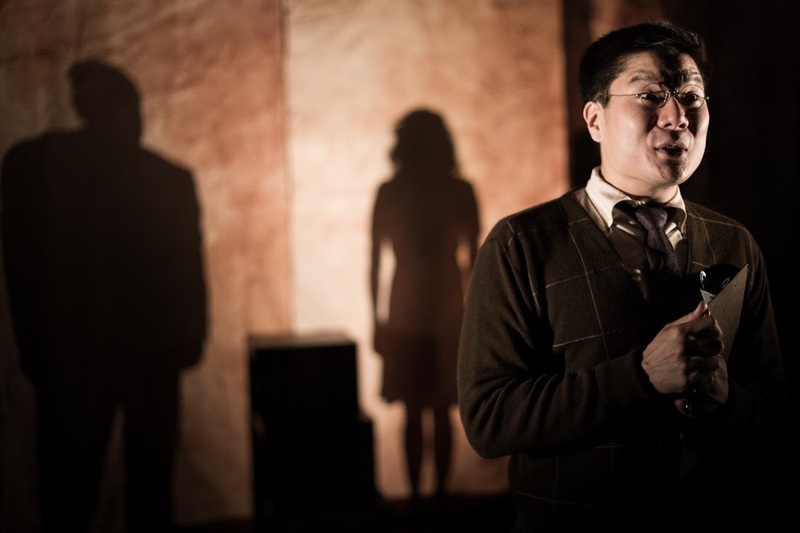 The play focuses largely on Kurten’s conversations with his lawyer, Justus Wehner (played by Arthur Keng), where he describes in horrific detail his childhood, his relationship with his parents, his wife (played by Carolyn Deskin), and his violent acts. Justus comes into these conversations initially hoping to prove Kurten insane, however, as he begins to know more about the man, he discovers that Kurten is completely sane. This new truth unhinges Justus as he discovers that morality is not as black and white as he had thought. In addition to telling the gruesome story of Peter Kurten, NORMAL aims to explore the morality of humans and how we judge one another. 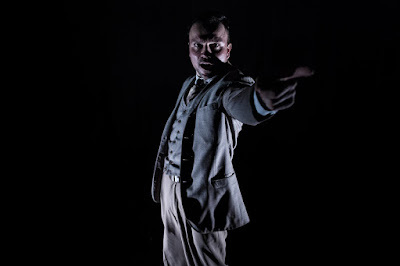 In learning the story of Kurten, both Justus and the audience begin to realize that Kurten’s actions can directly be correlated to his tumultuous upbringing more than insanity. In a world where the justice system seeks to punish rather than rehabilitate, is it fair for us to pass judgment on someone when the root cause of their behaviors are not completely understood? All three actors in this production, as part of the production company The Vagrancy, are absolutely phenomenal. 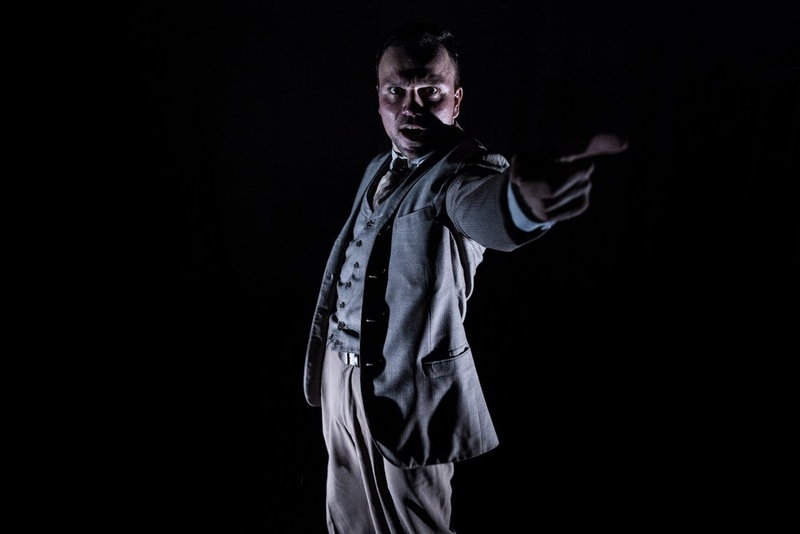 As Justus, Arthur Keng goes through an incredible journey of hope and optimism to dark despair and violence, directly influenced by his relationship with Peter Kurten. Keng seamlessly creates this arc, falling into temporary madness as his illusions of society crumble around him. Steve Madar as Peter Kurten, almost disturbingly taps into a man who is both charming and deadly with ease and poise. 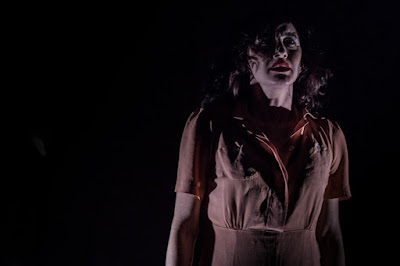 As Frau Kurten, Peter’s wife, Carolyn Deskin is breathtaking in her performance in every possible way, stealing every scene she is in. The script itself feels a little long in moments; there are several scenes that dragged on slightly without adding any real context to the story. The themes of morality and justice NORMAL is trying to convey occasionally feel forced as they are directly called out by characters; for example, in one scene Justus directly says that he does not believe in the death penalty as a means of punishing the guilty and that it makes society just as bad as the killer. These themes would have still been very well conveyed without these obvious declarations. 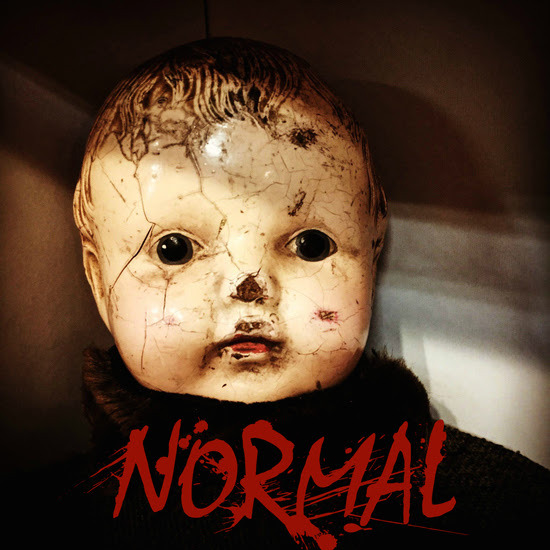 Attendees of the Hollywood Fringe Festival should not miss their chance to see NORMAL. It is a horrifying and disturbing tale that will stick with you long after you’ve exited the theatre. For more information on Normal and other Hollywood Fringe Festival titles, visit their website!